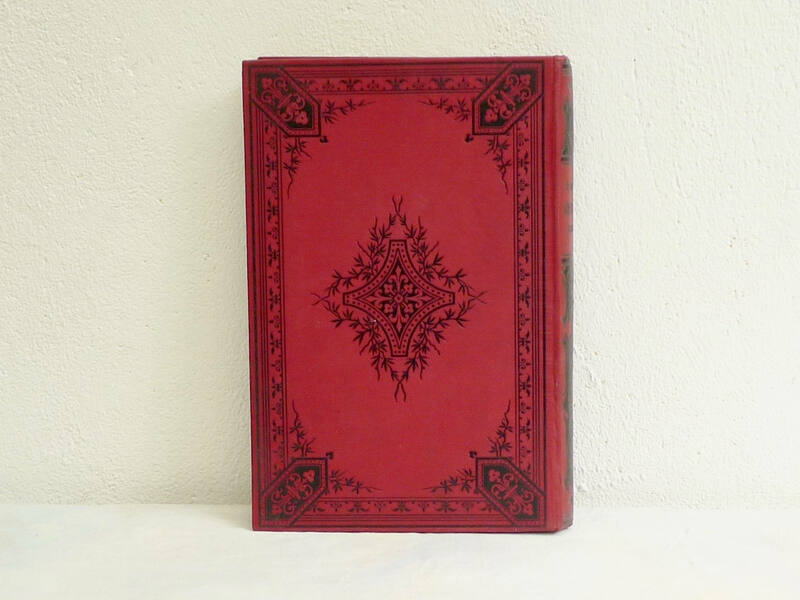 Spellbinderie's enchanting guest books are made from reclaimed antique book covers that are rebound with quality blank ivory paper. Each is custom made allowing you to create a unique and memorable keepsake for your once-in-a-lifetime event. 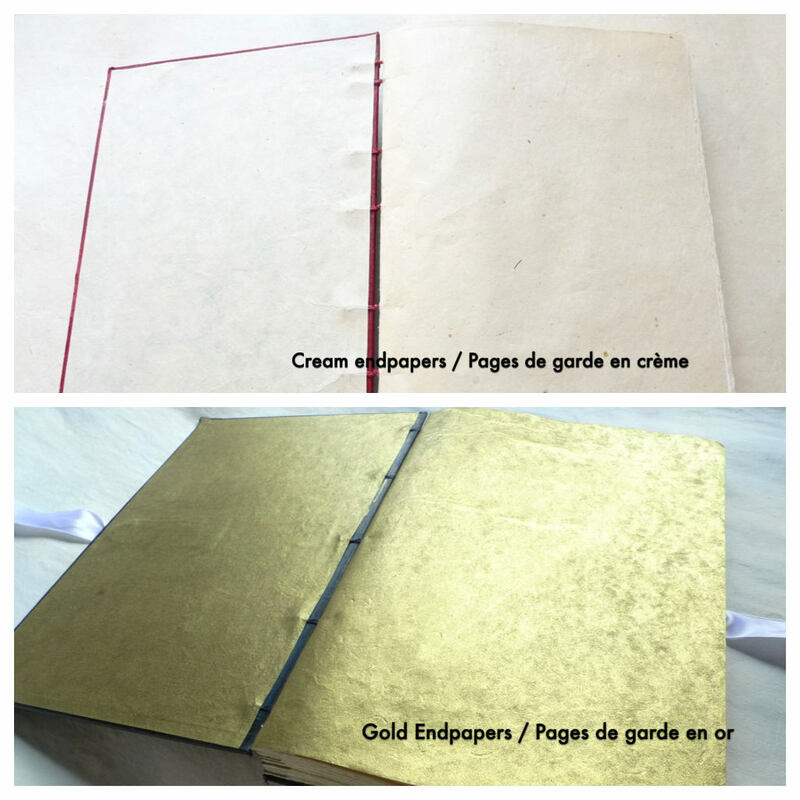 The book shown in the first two photos in its unaltered state will be used to make your order. 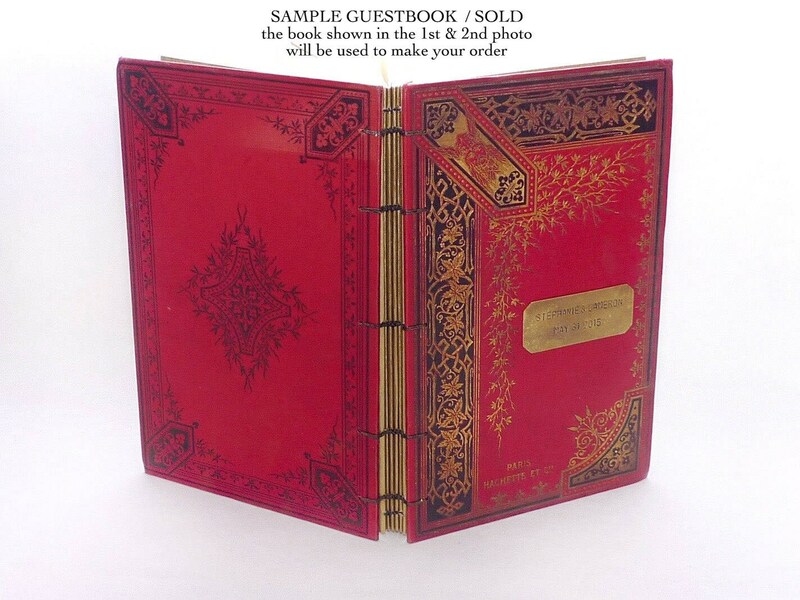 Remaining photos show sold guestbooks for reference of options and to help you visualize the final product. 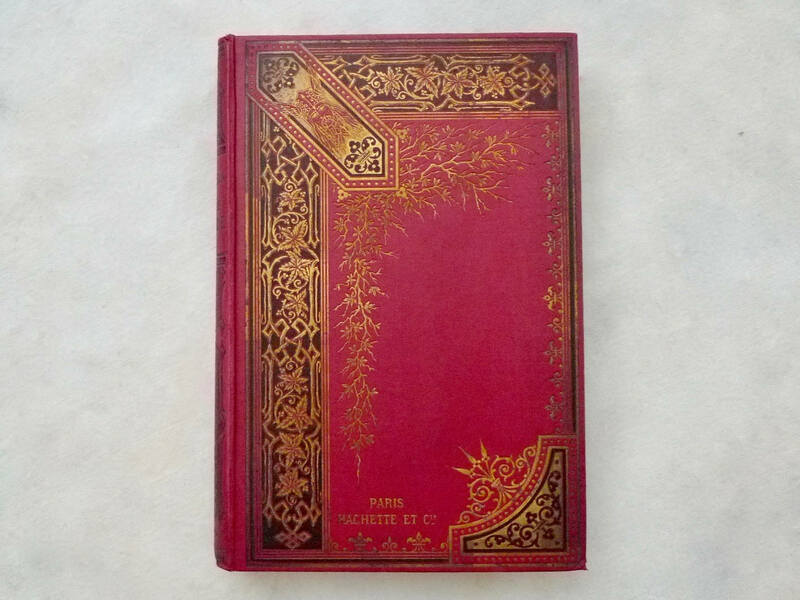 This lovely design was a popular cover at the turn of the century! •Choose one of the packages below or contact me to create your own package. •Please see shipping tab for production time. •All packages come with 120 pages of hand-torn ivory paper. 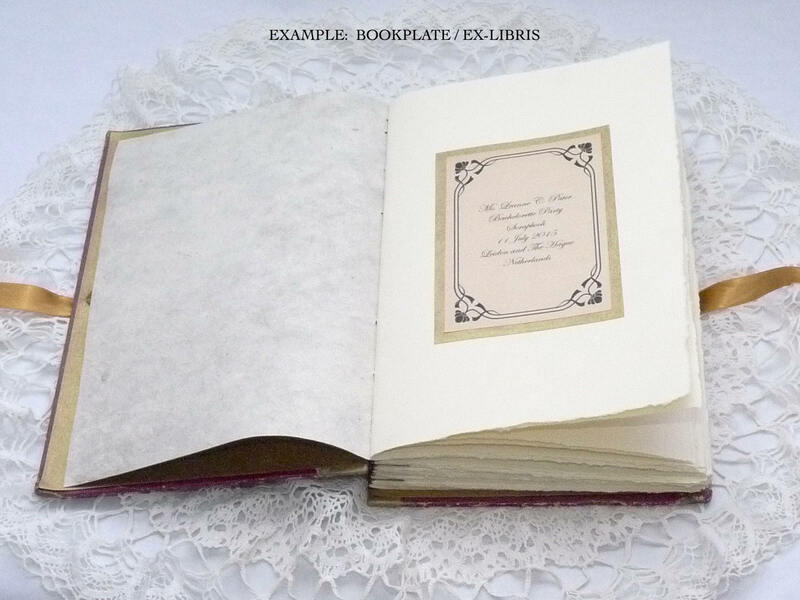 Available in Guestbook or Scrapbook Style. The scrapbook has spacers between the pages to expand the spine so photos can be added to your pages later without the book bulging. Photos are added to the full pages using photo corners or adhesive of your choise, not to the spacers. A purchase from Spellbinderie is a coup. 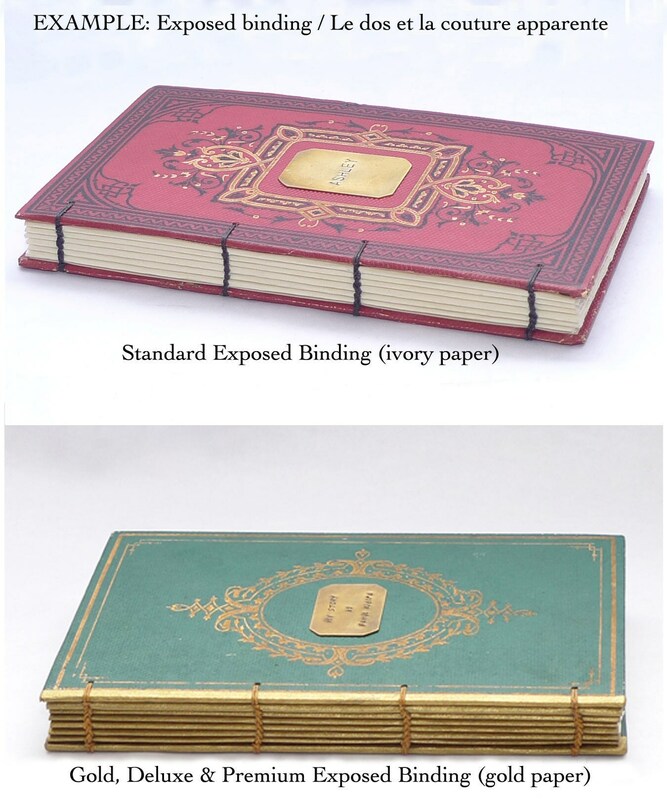 The books are exquisite and the service is unparalleled. Karen responds to every message within hours, answers every question thoroughly, and keeps you updated every step of the way to assure you are pleased with her design. This is a one of a kind work of art that may be handed down for generations.